Alcohol consumption in Singapore is on the rise. Apart from the traditional Tiger Lager beer and Singapore Sling, many consumers have now migrated to other beers, wines, spirits and cocktails. It is correct to say that with the influx of foreign visitors, immigrants and culture, Singapore has a rich drink menu and culture. However, drinks do not come cheap into Singapore. So finding a place to get affordable drinks, especially after happy hour can be challenging. 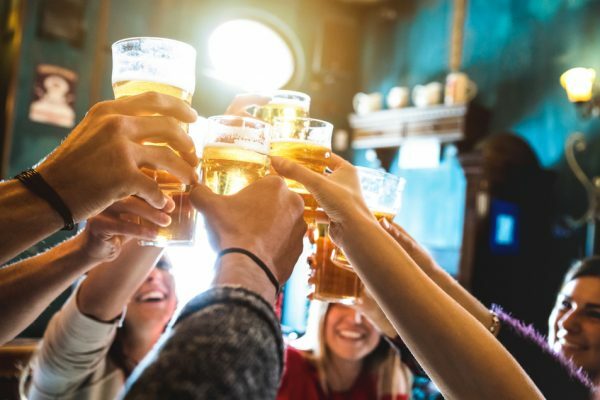 Before informing you about places where you can obtain cheap drinks after happy hour, it is important to acquaint you with some guidelines concerning the supply, purchase and consumption of liquor in Singapore. Liquor is defined as any drink containing more than 0.5% alcohol. Ignorance is no excuse in law, so if you are caught, “I am sorry,” or “I did not know” is not going to help you out. Liquor can only be consumed by persons aged 18 years and above – whether in private or public places. You are free to consume liquor within the privacy of your home regardless of hours. However, liquor consumption is restricted in public places between the hours of 10.30 pm to 7am daily can only be sold in licensed places such as restaurants, bars, cafes and coffee shops. A hotel is not considered as a public place by the law. Drinks are surprisingly low at the liquor bottle shop at the Hotel Atrium that some have wrongly inferred that their drinks must be fake. But if you taste their drinks, you will know that such is not true. The shop is frequently visited by young Singaporeans but is open to people of all ages. This is an ideal place for lovers of Heineken beer and football. Named after the actor “Al Capone”, this bar offers 3 bottles of Heineken for just SGD $13. It is opened from 5.30pm to 3am daily. Izakaya is open all day long and also gives you SGD $5 on Kronenburg beer, house pours and wines. As a result, you can expect that the place is always crowded. Are you looking for that special place to entertain that female partner of yours? No. 5 Emerald Hill might just be the place. The place is famous for its superb internal décor, cheap and affordable 1-for-1 martinis that sell for SGD $10, house wines for SGD $8 and house pours for SGD $10. The bar is open on Mondays to Thursdays from 12 noon to 2am and on Fridays, Saturdays and eve of public holidays from 12 noon to 3am. On Sundays and public holidays, they are open from 5pm to 2am. This is another wonderful place for cheap martinis and beers. The house wines and spirits, bottled or draught beer sells between SGD $6 – $9. They are open Mondays through Thursdays, and Saturdays from 11am to 11pm and Fridays from 11am to 1 am. They are closed on Sundays. Situated in a homey and friendly neighbourhood, The Jolly Roger offers cheap prices for pint of beer at SGD $8.50 to $10 and house pours at SGD $7.5 per glass. Here is an affordable bar that offers you cheap drinks combined with seafood. Martinis and cocktails are offered for SGD $10, pints of beer for SGD $12 and, wait for it, fresh oysters at SGD $2. This is a good place you can get a variety of beers. They offer a pint of English Ale (Tetley) and Kronenburg Blanc for SGD $13. You can also get half pints of 1664, Calsberg and Blanc for SGD $7. As the name implies, this is the location for all you wine lovers and here you are likely to find the cheapest wines in Singapore. A bottle of wine sells for as little as SGD $30. The red brick décor makes Wine Connection a convenient and relaxed place for you to enjoy yourself. You can also, if you like, relax at home and order your wine from their online store. These are two locations that offer dining and drinks in the Japanese tradition and culture at reasonable prices. They are suited for large crowds and famous for their Asahi and Kronenburg beer towers which sells at $40 per tower. Because of the large crowd, you may need to make a reservation. Cocotto is situated at 38 Pekin Street #01-01 S048768 and opens Mondays to Sundays from 11am to 2pm while Kanpai is located at 11 Unity Street Singapore 237995. Kanpai opens on Mondays to Thursdays from 11am to 2am and on Fridays and Saturdays from 11am to 3am. Mr. Punch has its “Punch Hour” all night on Mondays and from 6pm to 9pm on other days. Pints of Guinness and Heineken are sold are SGD $11.50 and $11 respectively. 1-for-1 martinis are offered all night on Tuesdays. On Saturdays, a pint of shooter is offered all day at SGD $5 and also a pint of Erdinger for $12. They are open from Mondays to Thursdays from 6pm to 2am and on Saturdays and Sundays from 6pm to 3 am. Go out and enjoy with your loved and dear ones. Don’t worry about hours as you can hit the above places and find cheap drink even after the happy hours.